Things that are real in 2016. Owlboy is real. The Owlboy release date is real. D-Pad Studio's gorgeous hand-drawn adventure, after eight years in development, is finally ready to come out. While it may not be coming out on Xbox 360 as originally planned all those years ago, it's just as gorgeous as its creators planned. 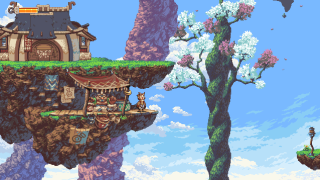 How did Owlboy finally come together after nearly a decade in production? Simon S. Andersen, creator of Owlboy, joined us to talk about the challenges that come with making a game over eight years, shifts in technology and how to maintain passion for a difficult project. Enjoy the stream? Follow us and watch every Tuesday and Thursday live on Twitch at 1:30PM PT/4:30PM ET/9:30PM GMT.